HOLIDAY GIFT GUIDE: Seacoast-Inspired Gifts! 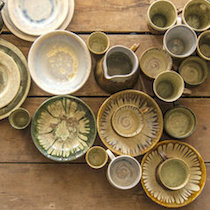 The seacoast is home to VERY talented artists and makers. 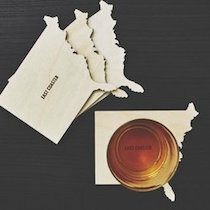 Take a peek at this year’s gift guides featuring some fabulous gifts from southern Maine and New Hampshire! 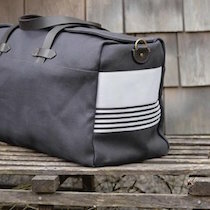 The “Ipswich Weekender” Longwharf Supply Company’s Ipswich Weekender, is built with heavy-duty waxed canvas and sturdy bridle leather, is ready to go, whether you’re heading out for a weekend road trip or flying to your next great adventure. With an abrasion-resistant body and rustproof antique brass hardware, the Ipswich Weekender will be by your side for years to come (Longwharf Supply Company is based on Seabrook Beach, New Hampshire)! Maritime Baskets and Coasters Available at Farm + Table in Kennebunkport and handmade by a seacoast native, these woven baskets and coasters are made out of rope and naturally sport east coast charm! Available in a variety of sizes. East Coasters Celebrate the “best” coast (Oops; did we say that out loud?? ), with “East Coaster” coasters from Whims & Whatnots! The creative designs are sure to WOW at any party or gathering. 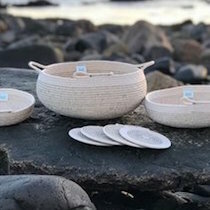 Alison Evans Ceramics Handmade in Maine and inspired by coastal New England, the glazed ceramic pieces from local artist Alison Evans come in a variety of shapes, sizes, and color palettes. Available at Tayla Mac Boutique! 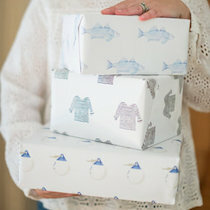 Watercolor Gift Wrap Show up in style with this beautiful gift wrap from Maine-based artist Sara Fitz! Available in nine adorable designs. Bait Bag Wallet Inspired by a lobsterman’s bait bag, this wallet was created using the same marine grade material. 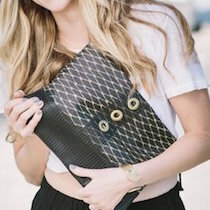 Durable, yet ultra chic, it’s ready for wherever life takes you. Hand printed and sewn in Maine! Available at Southern Maine Skin Company. 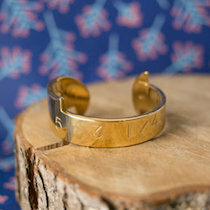 The “Perfect Catch” Cuff This brass cuff, handmade in Maine, is made from the tool that lobstermen use to measure lobsters, to see if they’re keepers! This statement piece is elegant and a great storyteller! Sold at Daytrip Society. Etched Leather Goods Take the city of Portsmouth everywhere you go! 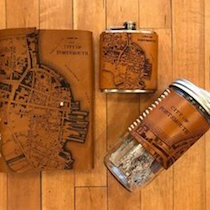 These etched maps of Portsmouth dazzle leather-bound notebooks, flasks, and coffee sleeves! Sold exclusively at Inside Out. 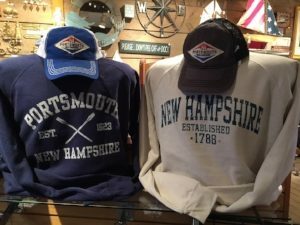 Pop into Tugboat Alley for an incredible selection of Portsmouth tees, sweatshirts, hats, and more! Unique designs for men, women, kids, and adults will have you representing the seacoast in style wherever you go!